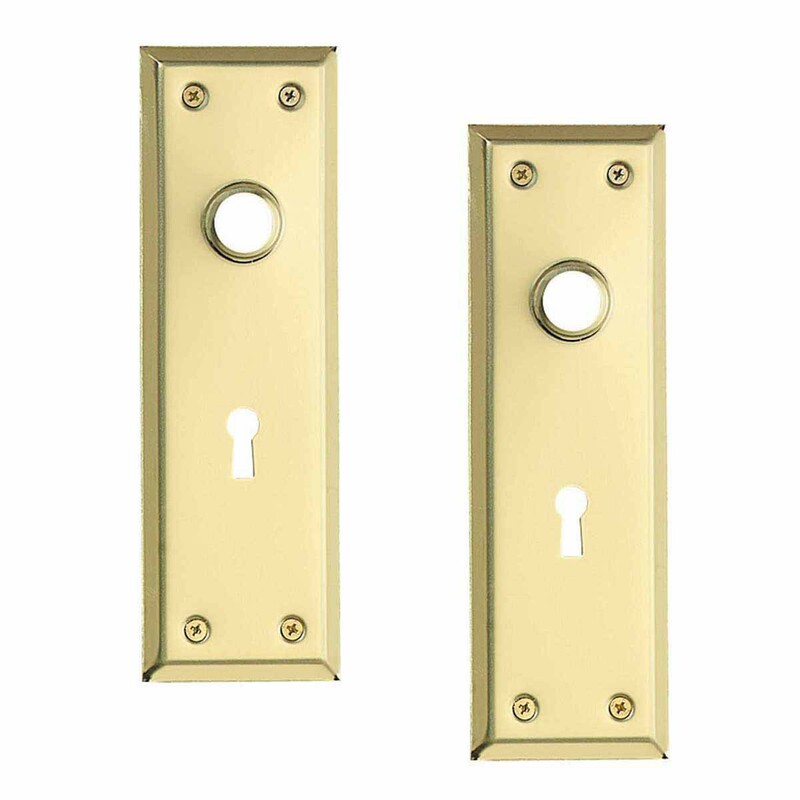 2 Door Back Plate Bright Solid Brass Stamped w/Keyhole 7 3/4"
(2) pieces Doorplate. Need door plates with spindle holes and keyholes? 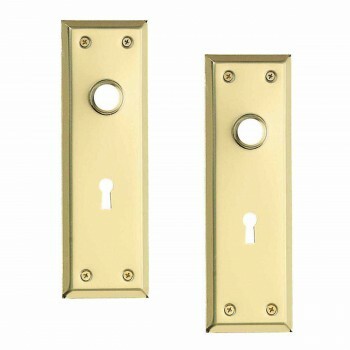 Add elegance to your doors with exquisite door plates from Renovator's Supply. 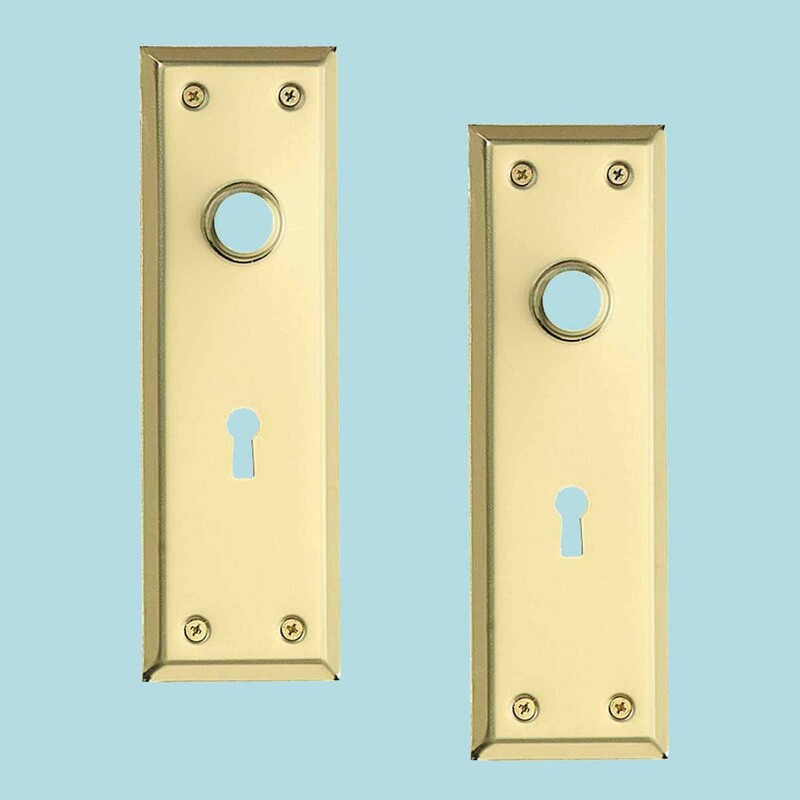 This doorplate with a keyhole is a simple rectangle measuring 2 1/4" wide x 7 1/4" long. The distance from spindle to keyhole is 2 1/4".